And there are many, many more examples of loanwords from many other languages. In this blog we looked at some examples of English loanwords from French, Spanish, and German, and today I want to talk about another interesting language that provided quite a few loanwords for English: Yiddish. 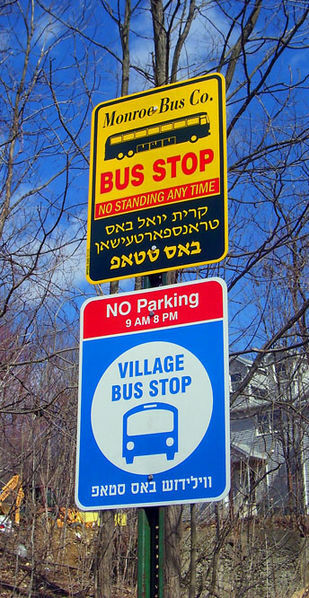 Yiddish is a language that is closely related to German in many aspects, and it was originally spoken by Jewish people in central and eastern Europe. 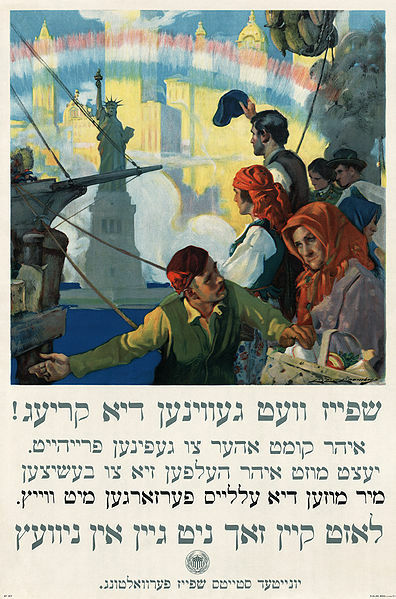 Immigration to the United States in the last 100 or more years also increased the number of people there who spoke Yiddish, and there are now a few hundred thousand people who speak Yiddish in the U.S.A.
Yiddish loanwords are often found in entertainment like movies and TV shows, but there are also some words that many people use commonly, without knowing they’re from Yiddish. When you say something is “schmaltzy,” you mean that it’s overly sentimental. If you call someone a “klutz,” you mean that he or she is uncoordinated and clumsy. And if you eat a “bagel” with “lox,” you’re eating a type of round bread with some salmon inside. All the words in quotes came from Yiddish. Also, since Yiddish is closely related to German, it’s possible to see similarities between the two languages (for example, “schmaltz” in Yiddish is “Schmalz” in German, and “lox” in Yiddish is “Lachs” in German). Do you know of any other Yiddish loanwords in English, or in other languages? If so, feel free to leave a comment below.